As a writer and sailor, there are few chances for me to sit back and, well, CROW about a recent accomplishment. But that’s exactly what I’m going to do today, because supercrew Kim Couranz and I just won a World Championship! For those of you who don’t sail, these five lessons do apply to any of life’s challenges—and I promise to skip the sailing-speak. 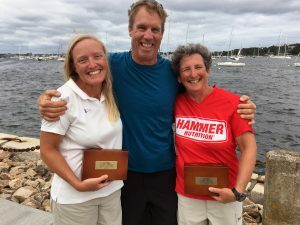 The Snipe Women’s Worlds in Newport included four days of sailing in a wide variety of conditions, just as any world championship should. 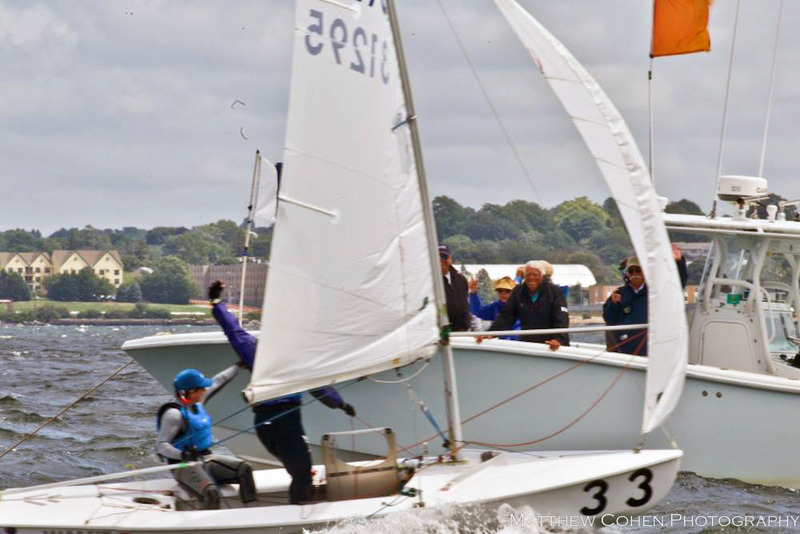 Sailors have different specialties, and though mine has always been light air we won the event on the final and windiest day because we’ve been working hard to get stronger and faster in big breeze. Lesson #1: Work on your weaknesses. 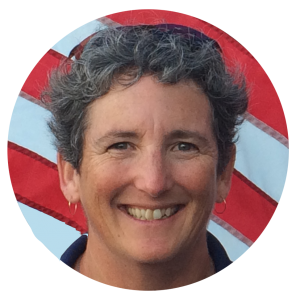 I am lucky enough to sail with Kim Couranz, an incredible teammate and friend. We first met as Snipe crews back in the late 1900s, passing time in the shower line chatting about our skippers’ quirks; I enjoyed her quick wit and positive outlook, while on the water I admired how hard she hiked. (Twenty-plus years later, all of this is still the case.) The Snipe is a crew-driven boat, and even though we idiots on the tiller get most of the credit we do only about thirty percent of the work. Kim and I first sailed together in 2005, but we really committed to a Snipe program in 2010 and are now recognized as one of the most “seasoned” teams on the international circuit. After so many races (and dinners, and even a few protests) together, we know each other’s weaknesses; we do our best to offset, rather than harp on them. We also know each other’s many strengths, and in tough situations we remind each other to focus on those and let the rest sort itself out. Lesson #2: Choose your best teammate, and then hold onto her with both hands. Once Kim and I committed to sailing the Women’s Worlds, we both focused on reducing distractions. I finally crossed off all the items on my boat work list, and I also told clients I would not be available during the event (something I rarely do). When the regatta began we were rested and ready, and our first and only priority was going sailing. Lesson #3: Regattas are won (or lost) long before they start. We’d both learned (over and over) that proper fueling and hydration could make or break our results. 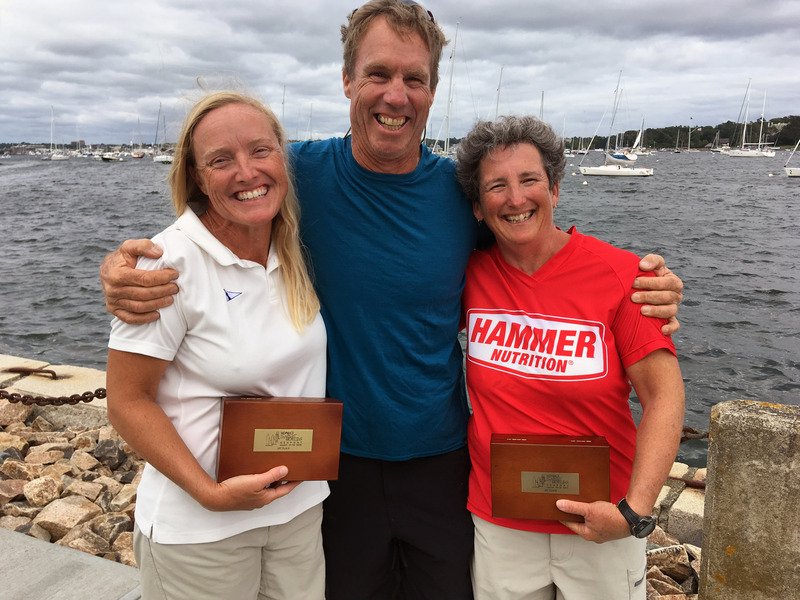 Hammer Nutrition keeps us fueled and hydrated on the water, but off the water we made sure to eat when we were hungry—rather than when the regatta organizers provided food. Lesson #4: Fuel right today to get ready for tomorrow. I will be the first to admit that we didn’t sail a perfect regatta. Most of our starts were, to put it kindly, abysmal—another weakness to work on. It would’ve been easy to give up, but instead we quickly focused on the opportunities ahead. Fortunately the conditions—and our great boat speed, developed over eight years of working together—allowed us to move up through the fleet. Just before the start of that last windy race, one point out of first place, I thought to myself: This is where all our hard work pays off. Right here, right now. And after a world-class start at last, we got the job done. Lesson #5: It doesn’t have to be perfect, it just has to be better than the rest. PS A huge thanks to coach Paul Cronin for all his support, laughter, and perspective. After one of our worst races, he focused on our excellent comeback. At the end of day three he said, “That was a great race to get a sh*tty start.” (Another player had been forced to retire.) For a coach’s view of the win, read World Champions. Great post and it shows how important the weeks, months, years prior play such a big part. Never mind great coaching, which means enabling sailors to do their best! Fantastic, Carol! I enjoyed your perspective and wisdom! Thanks! Damn proud and inspired by your victory. Excellent lessons. Finding and developing the right team, so hard and yet crucial. And the more people the harder it is… thanks for the note. I have enjoyed your musings and teachings! Congrats to a fantastic team! Keep on writing and keep on sailing!